Hi everyone.. I got something very exciting to share!!! 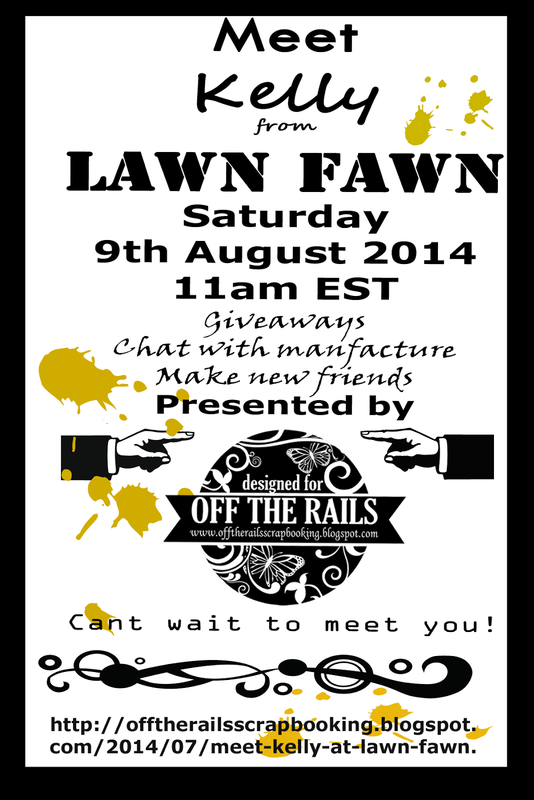 On 9 August, 11am EST, Kelly Marie Alvarez, owner of Lawn Fawn will be dropping by Off The Rails Scrapbooking Facebook group for a chat. And you stand a chance to win a giveaway too!!! Woo.... can't wait!!!! But wait.... here's what you need to do!! To be in the running for a giveaway before Saturday. winner announced at the live chat. Excited?? Well, I am!!! So look forward to it!! Hope to see you there.